CENTRAL CITY - Eugene Uzzle, 81, of Central City, died Sunday, December 9, 2018, at 3:36AM at his home. Mr. Uzzle was born November 25, 1937, in Muhlenberg County. 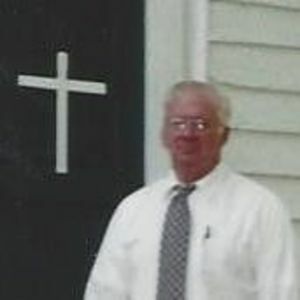 He was a pastor and member of Abundant Life Church in Beaver Dam. He was also a U.S. Navy veteran. He was preceded in death by his parents, Phillip and Opal Uzzle; and brothers Darrel Uzzle and James Uzzle. He is survived by his wife, Beverly Uzzle; children Brenda (Mark Tony) Mills of Pleasant View, TN, Theresa (Scott) Jordan of Mound City, MO, Timothy (Faith) Uzzle of Savannah, MO, Bryan (Becky) Uzzle of Central City, Stacie (Jason) Stallins of Central City, and Brently (Jill) Uzzle of Rockport; grandchildren Alexus Mills, Brady (Jennifer) Henson, Seth (Rachel) Henson, Derek (Shandy) Uzzle, Brittany (Luke) Baxter, Bradley (Brooke) Uzzle, Hannah Stallins, Morgan Stallins, Grant Uzzle, and MaKeely Uzzle; great-grandchildren Bradyn Henson, Barrett Henson, Benjamin Henson, Landon Henson, Zavan Uzzle, Landyn Baxter, Cayson Baxter, Clint Uzzle, and Sawyer Uzzle; brothers Willis (Laveda) Uzzle, Paul (Frances) Uzzle, and Jewell Mercer; sister Mary Dockery; and sister-in-law Peggy Uzzle. Funeral services will be Thursday, December 13, 2018, at 11:00AM at Powderly Holiness Church, with Rev. Charles Shephard officiating, assisted by Rev. Timothy Uzzle and Rev. Mark Tony Mills. Burial in Rose Hill Cemetery. Visitation will be Wednesday after 5:00PM at the church. Tucker Funeral Home is in charge of arrangements. Online condolences may be made at www.tuckerfuneralhomes.com. My condolences to you and your family. My God comfort you at this time of sorrow. So very sorry to hear about Bro Uzzle. Still remember Bro Phillip Uzzle at Snow Hill in Hartford. A great family, one and all. Thoughts and prayers to all the family. Great memories of my old friend. My Uncle Eugene was a jewel of a man. I spent many hours in their home as a child & never witnessed him acting out of the way. He was a great example of a prayer warrior. I vividly remember seeing him either walk to the woods every evening to spend time with God in prayer. Later he would build a prayer house on his property. He & Beverly were such an influence on my life as a child that I prayed that God would send me a spouse that would go to church with me. God answered the prayers of a child and sent my husband. He happened to be one of Beverly's little brothers. He has also been a jewel. Many memories that will go to the grave with me. I have been blessed to have Eugene & Beverly as my next door neighbors for almost 35 years & couldn't have asked for better neighbors. My prayers are extended to Beverly & all the children & grandchildren. Y'all are very SPECIAL people & we love you dearly. He was a very dedicated Christian man. We love this family very much.